Teach English abroad in the United Mexican States, home to famous bull fighters and artist alike. Zihuatanejo, in the state of Guerrero, is voted the best destination in Mexico by US News. The Capital, Mexico City, is located in the south central region of the country, and the former home of Montezuma and the Aztecs. 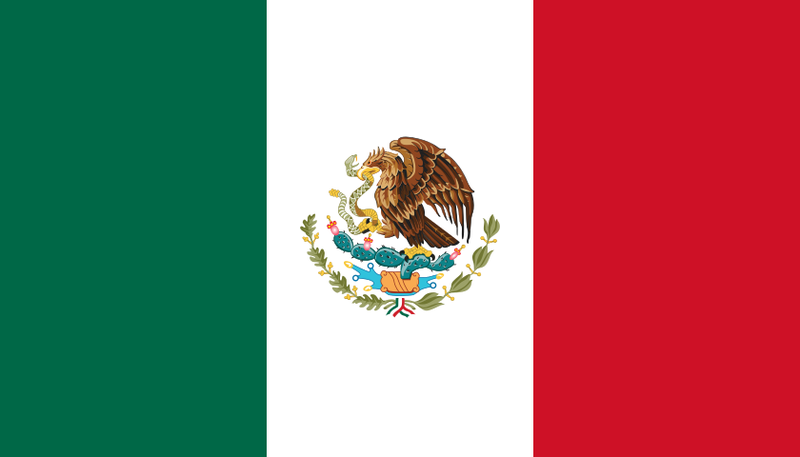 Mexico City is the capital of Mexico and official language is Spanish. Fun things to do in Mexico include taking in the wonders of the Chichen Itza and enjoying the stunning beaches of Tulum. The site of advanced Amerindian civilizations, Mexico came under Spanish rule for three centuries before achieving independence early in the 19th century. A devaluation of the peso in late 1994 threw Mexico into economic turmoil, triggering the worst recession in over half a century. The nation continues to make an impressive recovery. ongoing economic and social concerns include low real wages, underemployment for a large segment of the population, inequitable income distribution, and few advancement opportunities for the largely Amerindian population in the impoverished southern states. Elections held in July 2000 marked the first time since the 1910 Mexican Revolution that the opposition defeated the party in government, the Institutional Revolutionary Party (PRI). Vicente Fox of the National Action Party (PAN) was sworn in on 1 December 2000 as the first chief executive elected in free and fair elections. The current President of Mexico is Enrique Peña Nieto. TESOL Certification for Teaching English to Speakers of other Languages in Mexico.